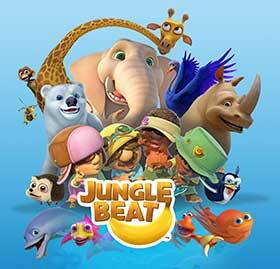 YLE in Finland, Swedish pubcaster SVT and VRT in Belgium are among the broadcasters picking up new episodes of dialogue-free animation Jungle Beat. 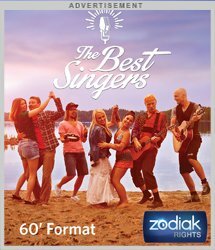 Produced by Sunrise Pictures in South Africa and distributed by Monster Entertainment in Ireland, the series follows a team of adventurers and the different animals they encounter on their travels. The third season was launched at MipTV last month and Monster has since concluded a multi-territory deal with Cartoon Network EMEA as well as a raft of sales elsewhere. Cartoon Network has picked up the new season for Latin America. YLE, SVT and VRT have renewed rights to the first two seasons as well as picking up the third. Two seasons have also gone to French-Canadian pubcaster SRC and JimJam for multiple territories across Europe. Gulli has taken three seasons for French-speaking Africa, while NRK has picked up the new episodes in Norway. The series is aimed at children aged between four and eight and a fourth season is already in production. The first two seasons sold into 182 countries.